Before we start, I just wanted to mention that I’ve seen some political ads in my sidebars this morning. I get my most of my ads through Google Adsense, and I don’t think I can get rid of specific advertisements. I find political advertising irritating anyway, but ones mocking and slinging mud at their opponents I find really distasteful. I apologize in advance for anyone else irritated by these. Sigh. That was an awesome festival. Those are basically giant three-dimensional paper lanterns – bigger than a bus – moved through the streets not by a tiny car in the middle but by a crowd of people. They not only push the float through the streets, but at every intersection they rotate it back and forth so that everyone watching can see the whole thing. No, really, look at the bottom of the picture. You can see them along the red and white striped bar. Good times. Charlie’s birthday is this week, but his party isn’t until a bit into September (which is why you haven’t seen Scooby Doo themed preparations around here). Be assured: they’re coming. But on to the links! First up: Anyone for cupcakes? 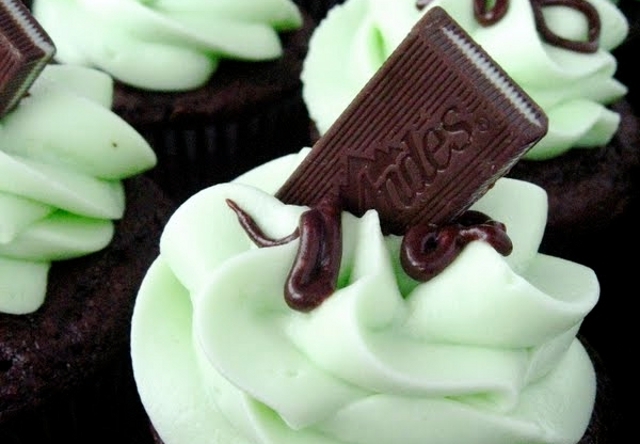 These Andes Mint Cupcakes from Your Cup of Cake look reeeally tempting. What is it that makes that shade of pale green so delectable? Let’s see, what else looks good…ooh! 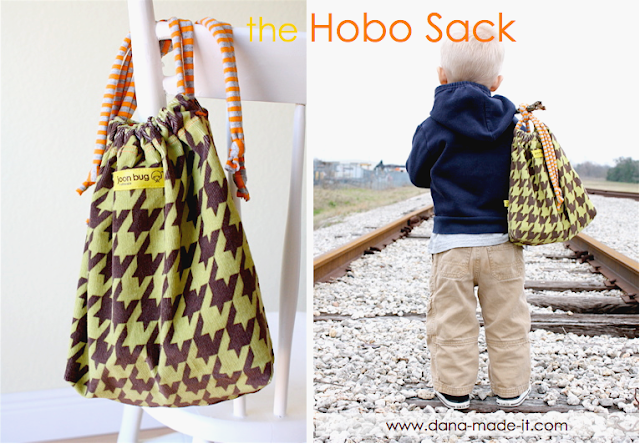 This tutorial for a ‘Hobo Sack‘ from Made is, like all her work, beautifully and clearly photographed. I envy her skills – and possibly her camera. What I love most about this link, though, is that Dana actually drove her son out to an abandoned railroad track (it is abandoned, right?!) to get these adorable pictures. Tascha from TLK Designs took some Mod Podge and a little fabric and dressed up her boring iPhone case. Finally, my baby sister has just taken up blogging. It would be nice if anyone wanted to go over to her shiny new blog and leave her a comment. 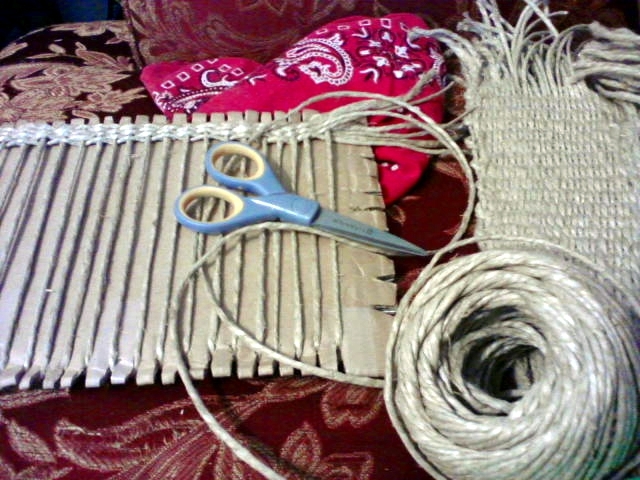 She’s got some pretty cool stuff going on, like this weaving she’s doing on cardboard. Apparently she’s going to make some shoes. I don’t know. I guess we’ll see. I’d love to see something interesting. It can be something you posted or something you ran across, but please link to the specific post instead of a website. Feel free to link to as many as you like! Have a recipe? A tutorial? A finished project? Philosophy on life? Anything? I’d love to see it. Ads, links to shops, products, giveaways and spam will be deleted. Don’t forget to check out the other links and show everyone some love! This entry was posted in Life in General, My Life Mondays.